Self-adhesive Tyvek tape to repair and strenghten the inner book joint. 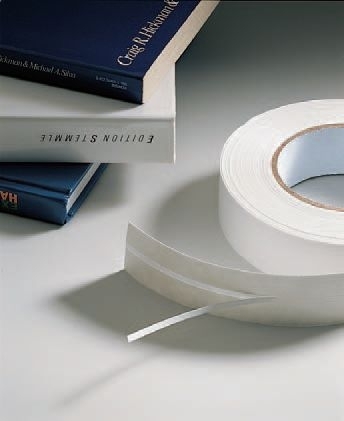 Tear-resistant, self-adhesive Tyvek tape to repair and strenghten the inner book joint. With patented entre perforations for perfect positioning.